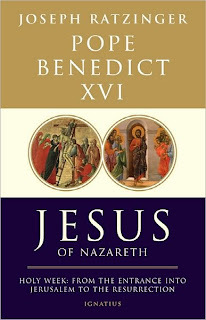 I am planning to begin a discussion series on Pope Benedict's Jesus of Nazareth: Holy Week: From the Entrance Into Jerusalem To The Resurrection sometime this week. I hope that some of you have been able to obtain a copy of this fine book. We will start with chapter 1 and progress from there, without any necessary timetable for concluding the discussion. I will not be giving a summary of each chapter, but rather providing a few quotes from parts that I found particularly intriguing, along with some possible questions to help spur discussion. We shall see how it goes. If you are interested, please let me know via the comments of this post. 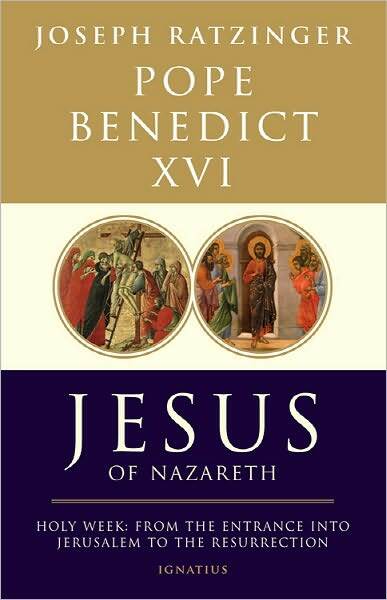 I am planning to participate in this reading of Pope Benedict's book. Best regards. Sounds good to me, I am currently reading it on my kindle. I just got the book last week and am only on page 25. I'll try to keep up.